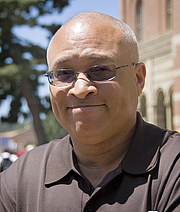 Known to TV audiences as the “Senior Black Correspondent” for The Daily Show, Larry Wilmore is a cultural commentator, actor, producer, and award-winning television writer. His writing credits include episodes of In Living Color, The Bernie Mac Show, and The Office. With his wit, levity, and subversively approachable persona, Wilmore opens the door to an honest conversation about race and diversity. Larry Wilmore reads from I'd Rather We Got Casinos: And Other Black Thoughts. Larry Wilmore is currently considered a "single author." If one or more works are by a distinct, homonymous authors, go ahead and split the author. Larry Wilmore is composed of 1 name.